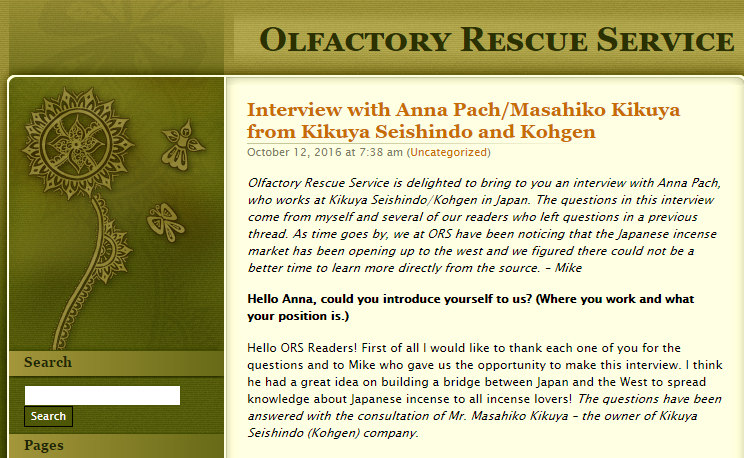 2016.10.12 – We were interviewed by Olfactory Rescue Service. 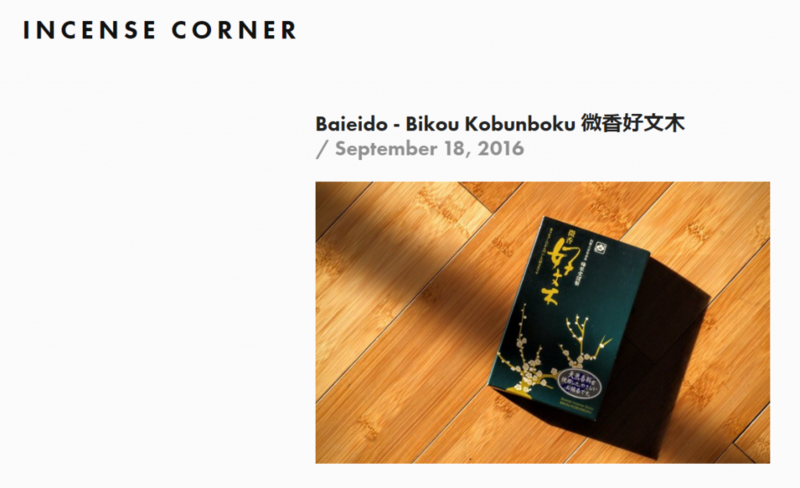 2016.09 – Kohgen World was mentioned in several incense reviews on Incense Corner blog. 2017.04.03 – Kohgen Maker`s Pier Store has been introduced on “Derusata” （デルサタ）TV program on Mētele (メーテレ). 2017 April – Kohgen Ginza Store has been introduced in April 2017 issue of “Wingspan” / 翼の王国 (Tsubasa No Oukoku) inflight magazine of ANA Group. 2017.03.13 – Kohgen Maker`s Pier Store was introduced in the “Switch!” program on Tokai Television. 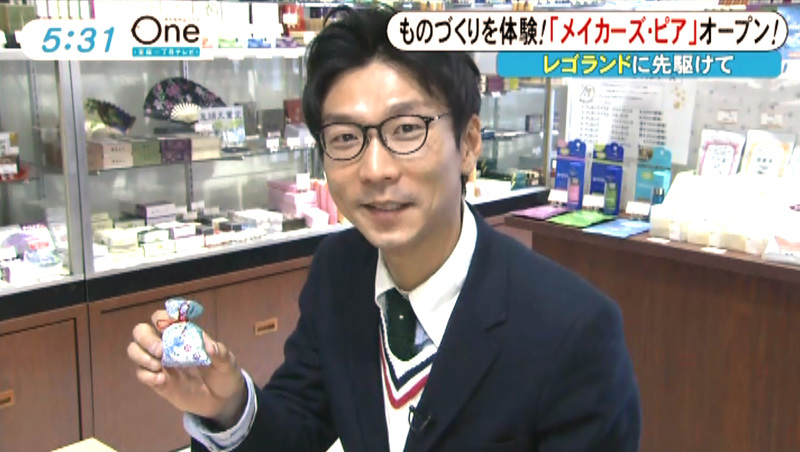 2017.03.13 – Kohgen Maker`s Pier Store was introduced in the “Minna no News ONE” program on Tokai Television. Both men and women are enjoying our incense making classes. 2017.03.28 – Kohgen store owner – Kikuya has taken part in “Mutsumi`s Super Tuesday” broadcast on MID-FM! 2017.03.13 – Kohgen Maker`s Pier Store was introduced in a live broadcast on Tokai Radio. 2017.03.02 9:00〜11:55 – Hayashi – our staff member participated in a live broadcast on CBC radio. 2016.12.07 13:00〜16:00 – Matsumoto – our staff member participated in a live broadcast on Tokai Radio. 2016.09.02 9:00〜12:00 – Matsumoto – our staff member participated in a live broadcast on Tokai Radio. 2016.08.03 11:00〜12:30 – Yoshida – our staff member participated in the “Report Driver” broadcast on Tokai Radio. 2016.07.17/07.24 9:30〜09:55 – Our store owner participated in the “amano SMILE CAFE” program on FM Aichi radio. 2016.07.11 9:55〜10:00 – We have participated in the “Machi-ichi ~ Going Mai Way!~” program on CBC Television. 2016.06.16 13:00〜16:00 – Our Kohgen Nagoya Store was the main topic of the live broadcast on Tokai Radio. 2016.06.16 9:00～11:55 – Our Kohgen Nagoya Store was the main topic of the live broadcast on CBC radio. 2014.10.01 12:28～12:40 – Our store owner Kikuya participated in the “TOKYO UPSIDE STATION” program on Tokai Radio. 2014.06.18 9:00～11:40 – Watarai – our staff member participated in a live broadcast on CBC radio. He introduced our store. 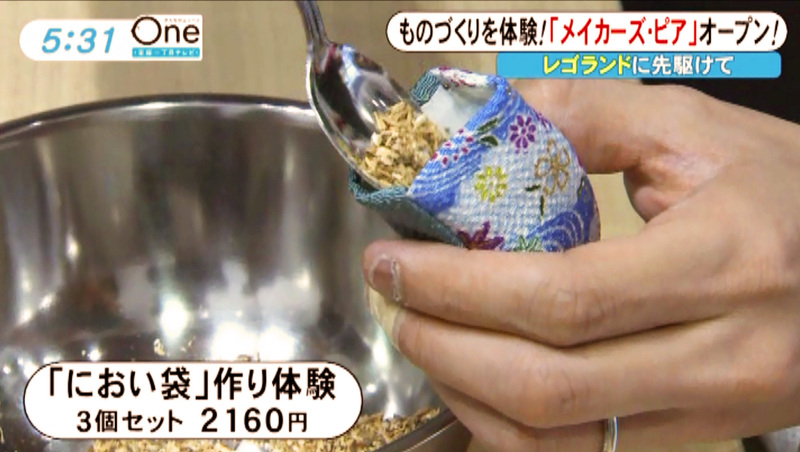 2014.03.06 – Our store owner Kikuya participated in the satellite broadcast on BS11. 2013.08.08 9:00～11:40 – Saito – our web designer participated in a live broadcast on CBC radio. 2013.08.07 13:00～16:00 – Saito – our web designer participated in a live broadcast on Tokai Radio. 2013.01.28 24:00～24:30 – We introduced our store on CBC radio. 2012.11.13 9:00～13:00 – We introduced our store in a live broadcast on Tokai radio. 2012.08.06 9:00～13:00 – We introduced our store in on Star Cat television broadcast. 2012.07.31 9:00～11:40 – We introduced our store in on CBC radio broadcast. 2012.07.30 – FM Aichi car radio visited us. 2012.02.14 18:17～ – We introduced our store in on Me 〜 Tere “UP!” broadcast. 2011.10.18 0:30～1:00 – We participated in a broadcast on Chukyo Television. 2011.04.19 10:00～11:55 – Our store owner Kikuya participated in the “CS Asahi News Star” broadcast. 2011.04.09 15:00～18:30 – Komatsu – our staff member participated in the “SATURDAY GO AROUND” program onＺＩＰ-ＦＭ radio. 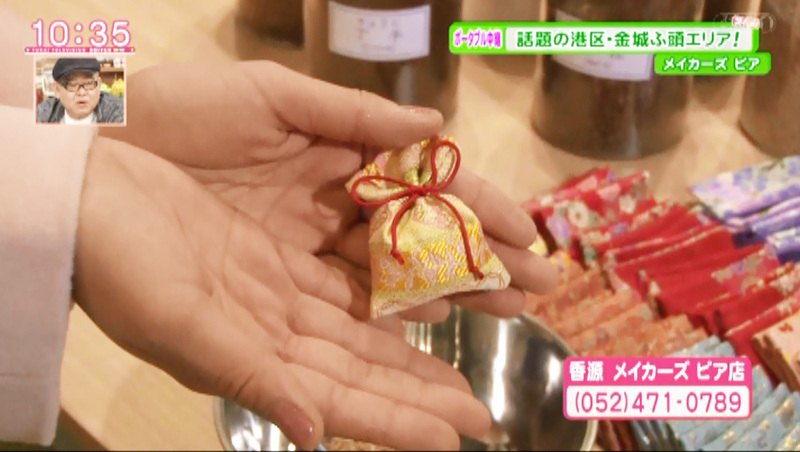 2010.10.14 15:00～18:30 – Our store waas introduced in the “Style Plus” program on Tokai Television. 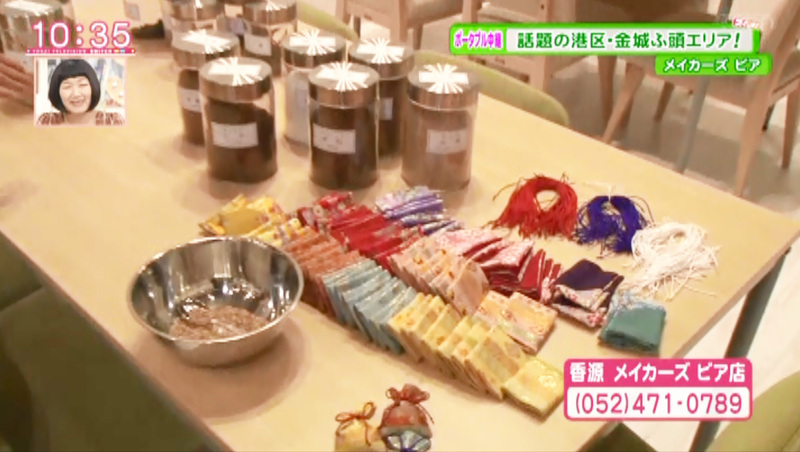 2010.07.05 15:00～15:30 – Our store owner Kikuya participated in the “3PM no Tsubo!” program on TV Aichi. 2009.01.31 15:00～18:00 – Komatsu – our staff member participated in a broadcast on Tokai Radio.